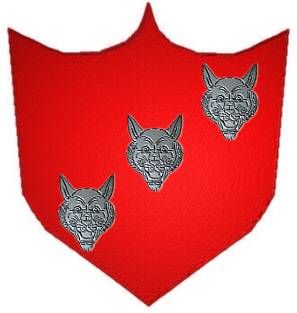 Three silver wolves heads on a red shield. 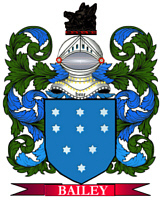 Crest: A hand holding the crown of Scotland. 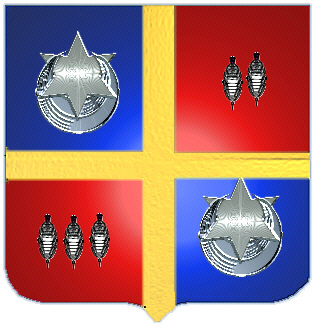 Coat of Arms: Quartered, 1st and 4th quarters on a blue shield with a silver crescent and star, 2nd and 3rd is red with five silver fusils (lozenges) across the middle, and over all a gold cross. 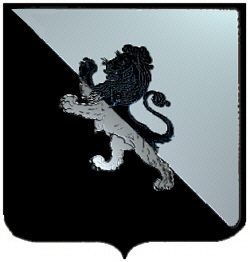 Coat of Arms: Black and silver a lion counterchanged. 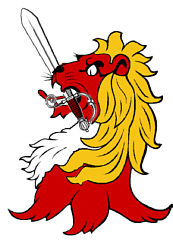 Crest: A half lion holding a sword. Welsh Spelling variations include: Roberts, Robert, Robartes, Robarts and others. First found in Denbighshire where they were seated from early times and their first records appeared on the early census rolls taken by the early Kings of Britain to determine the rate of taxation of their subjects. Some of the first settlers of this name or some of its variants were: Eleanor and Griffith Robarts, who settled in the Barbados in 1676; James Robarts settled in New Haven Conn. in 1822; James Robert settled in Maryland in 1666. English Spelling variations include: Robert, Roberts, Robart, Robarts, Robberds and many more. First found in Kent, where a Willelmus filius Roberti was listed ijn the Domesday book. Definition: 1) Derived from the Welsh given name Robert, meaning "bright fame." From the Germanic elements "hrod" meaning fame and "beraht" meaning bright. 2) Son of Robert.